The CQC has ranked nearly every GP’s surgery in England in terms of the risk that they will provide poor care. The regulator used 38 different indicators to rank practices into 6 bands with band 1 being practices of the highest concern or risk. Of the 7,267 practices ranked, 861 practices were in band 1 and 336 in band 2. Potential issues highlighted in elevated risk practices include problems with getting an appointment, mental health plans and cervical cancer screening. 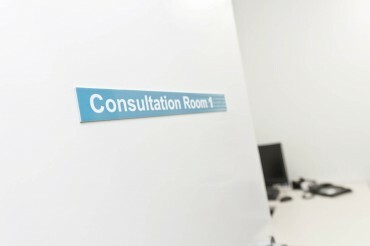 The CQC was keen to point out however that the data they have collected, which they call intelligent monitoring, and used to rank the surgeries is not a judgement and that it is only when the surgeries are fully inspected that it can be determined whether a practice provides safe, high quality and compassionate care. The CQC hopes to have inspected all surgeries by March 2016. The CQC now has a very useful page on its website (an interactive map) that allows the general public to see the band (1 to 6) that their surgery has been attributed and to gauge how well their own surgery is performing when compared to others close by. It is also possible to read the CQC’s comments for a particular surgery on those 38 risk factors that they take into account when ranking GP practices. You can also read the latest CQC Inspection reports on a particular surgery. GPs, like A&E, are a first port of call for patients. Although they will usually have wide experience you would not necessarily expect a diagnosis to be made by them but you do expect they will know enough to refer a patient on, if appropriate, to the right specialist. Complaints and claims in relation to GPs that we consider often relate to delay in making the appropriate referral which may lead to a delay in diagnosis for a patient. Steve Webb, a solicitor in the TSP Clinical Negligence team, said “all areas of the NHS – that is Hospital Trusts, GPs, The Ambulance Service, Dentists etc. – are required to report any adverse incidents that occur to an NHS body called the National Reporting and Learning Service (NRLS) on a monthly basis. This information is then collated and published on their website and is accessible to anyone. Now that may sound like an awful lot, but they are required to report all incidents, even where no harm has been caused to the patient; there are over 1 million, or approximately 68% of the total, that fall into this category.